If you’re reading this, you’re probably feeling surrounded by numbers. The importance of numbers, how high numbers are best in some areas but not in others, how you don’t want high numbers in ~this~ but you need them in ~that~. Sound familiar? There’s probably a lot of people encouraging you to aim for a specific number, maybe it’s the number of kilos you weigh, number of followers you have on your social media, number of hours of sleep you didn’t get last night, number of coffees you shouldn’t consume in a day (I like to think of this number in particularly as advised but not essential). The number you’re probably hearing a lot about lately is your ATAR number, or maybe if you’re a university student it’s your GPA. A lot regarding your future rides on this number, that isn’t a lie, but you know what doesn’t ride on a number- your self-worth; your importance, your success. Unlike numbers, you can’t always be divided into neat little fractions, when you subtract something from your life you will feel an emotional response, and when you think about your value as a person, the correct answer is immeasurable #TheLimitDoesNotExist. You’re a person, you are not just a number. Exams test memory, subject-based knowledge, an ability to perform under pressure; on what you know at one given time, and not always on your ability to develop, nor other facets of life you couldn’t put into an exam, nor your endurance or go-getting attitude. It’s true that this ATAR will help you get into university courses and that the process of attaining an ATAR will help you develop discipline, time-management, and your knowledge on the subject- but remember there are ALWAYS pathways to getting into a course you desire, and within life in general. This number that might need to boost or maintain your GPA is achievable, but you can’t achieve it if you aren’t studying efficiently. If you’re a visual learner for example, tell your mum you’ve decided to re-decorate and post visual cues and study notes everywhere; no inch of wallpaper is safe. If you learn best through audio, then it’s perfectly okay to have those lectures playing on repeat; if you start sleep talking about your exam subjects don’t get mad at your sibling for recording you- one day you’ll laugh about it. Don’t drink coffee or energy drinks just because everyone seems like they are- especially if they make you feel anxious, dizzy, nauseous, or in any way ~bleugh~ (very scientific wording). Sleep and exercise daily. Walking to the kitchen from your desk to get more snacks isn’t exercise, nor is day napping a substitute for a good eight hour snooze sesh. The food pyramid knows what it’s talking about. Yes, you might have to leave your desk to pee excessively because of all the water you’re drinking, but not only will your brain love you for it, so will the rest of your organs. You can’t study if you’re tired and feeling ~bleugh~ so feed your brain vegetables and fresh foods. You’re in exam mode; you can #TreatYourSelf to Uber Eats, but think fresh, healthy, and balanced. Try to incorporate YOU time. Whether you like to meditate, study alongside friends, or need to sit in a bubble bath and Netflix binge for an hour, whatever it is you love to do, don’t remove it entirely; your mental state needs it sometimes. Incorporate mindfulness activities, even if you need to formally schedule them in. Your peers - another point Maya emphasises is to remember that they’re there going through this phase too. Together you’re a community, one which can help and support each other; it isn’t a competition on who’s most stressed. The fact you’re feeling stressed is normal- usually it just means you’re passionate about what it is that’s stressing you. However, there is such a thing as debilitating stress, and if you’re feeling that then a GP can help you. 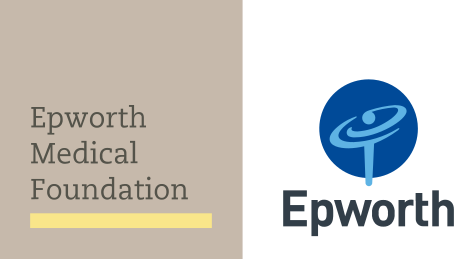 Epworth Clinic in Camberwell is a facility which specialises in helping patients improve and manage their mental health and wellbeing; your GP can also refer you to specialists and mental health professionals if required. Headspace and Lifeline are additional organisations who help people manage their stress, anxiety, and other mental health concerns every single day. They, along with your GP, your friends, your teachers, and your family are all there to help you manage your mental health.